Ruminations on Night Circus and Angelfall (plus a bonus) | Marie Loughin's "I WANNA BE . . ."
As I said in my last post, it’s been a busy year for me so far. I’ve not had time to read much, but these three stories were noteworthy enough to review. 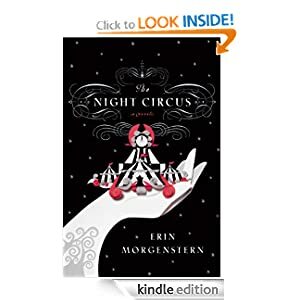 Earlier in the year, I listened to Erin Morgenstern’s Night Circus on audible books. Yes, I know I swore off audible books, but I’ve decided they have their place. With my current schedule, I have little time for reading. My teaching commute is 45 minutes each way when traffic is good (if any traffic can be called good). Wasted time, right? And I have to get my fiction fix somehow. I can keep it under control. I know I can. Here is my Goodreads review of Erin Morgenstern’s book: Night Circus is a novel of quiet intensity. The plot evolves slowly and intricately, like a tapestry laced with beautiful imagery. Bit by bit, the author creates a fanciful world within a circus, the form (and survival) of which hinges on the actions of two young lovers. I highly recommend it. I should emphasize that the circus itself is more than just a setting. It becomes a character via Morgenstern’s beautiful description. I have a high tolerance for well-written description, especially of the whimsical sort, but not everyone likes that. Also, it’s possible that the seamless narrating talents of Jim Dale (narrator of the Harry Potter series) may be coloring my assessment of Night Circus. I wonder if I would have been so engaged if I were reading it with my own eyes. I like to think I would still like this book very much, but it’s something to consider. 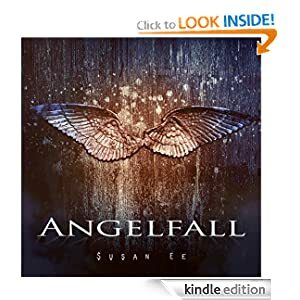 I just finished Angelfall, by Susan Ee. I will preface my review by saying that I like urban fantasy (obviously), but am not a romance* reader. Nor am I usually drawn to angels-with-wings books. Angelfall most likely would not have caught my eye, except it’s self-published and has received hundreds of reviews with an average over 4 stars. I wanted to see what the fuss was about. The author paints a real-seeming post-apocalyptic world fairly quickly and convincingly in the first chapter. It’s a world ruled by genocidal Angels, where normal people fight for survival against both angelic death squads and more traditional roving human gangs. In this setting, protagonist Penryn struggles to keep her insane mother and wheelchair-bound sister alive. Then Penryn’s sister is taken by the Angels and Penryn must join forces with a fallen enemy to find her. The story begins with good action. Penryn’s grit is appealing. Her stubborn determination to take care of her mother and sister at the risk of her own life quickly won my sympathy. I love that Ee has saddled Penryn with such high maintenance dependents to care for in this supremely awful world. But my interest flagged in the middle of the book. Although the middle section had some great plot points, it sometimes felt like thinly clad set-up for later books in the series. Also, I liked the characters, but never became emotionally connected with the protagonist and never quite believed the burgeoning love interest. Possibly, the use of first person viewpoint contributes to this problem. With first person, I expect to be privy to a steady jumble of confused emotions and reactions, but only got bursts that occasionally didn’t fit the circumstances. These problems largely work themselves out by the last third of the book, leading to an exciting ending. The kind of ending that invites you to buy the next book. Believe me, this author is not afraid to be terrible to her characters, which makes for good reading. Although Angelfall may not get top marks from me, I believe the author has many 4 and 5 star books in her future. * Clarification: Angelfall does not follow the industry standard formula for romances, but the book has moments with a paranormal romance feel. Finally, I’d like to give mention to the short story Touched, by JW Manus. This is the story of a lawyer who has noticed a pattern in violent mass killings. Her investigation leads her to a New Mexico pub, where she confronts the man who understands the connection between these killings. But, as the lawyer discovers, even knowing a hint of that connection is dangerous. This is a chilling little story, worth the 99-cent price tag. But I think it would be even better as a first chapter. I’m hoping JW Manus obliges. These reviews are purely my opinion. If you’ve read any of these stories and wish to provide a different point of view, feel free to comment. This entry was posted in Books, Myth in fiction, Ruminations and tagged Angelfall, Erin Morgenstern, fantasy, horror, Jim Dale, JW Manus, Night Circus, novel, Short story, Susan Ee. Bookmark the permalink. Thanks for the mention, Marie. Glad the link thing worked for you. Heh. That Night Circus sounds like an interesting book. I’m going to have to give it a shot. I have not read any of these books, but I need to pick up a copy of Jaye’s story. What I love is that in the space of time it took me to write that, I was able to have Touched delivered to my Kindle. The modern world has its bits of lovely, doesn’t it? Thanks for posting the reviews. I know you’re very, very busy but I appreciate that you took the time to write what you thought of the books. It makes a difference, for both readers and writers! I’m trying to make a policy of reviewing every book I read that I thought was at least pretty good. Not all of those reviews will make it to this blog, but they’ll make it to Amazon and Goodreads.